Description :-This multipurpose machine can be used as a carver, grinder, sander, smoother, polisher, cutter, buffer, etc. Also Can be bolted to your bench for greater stability. Rugged enough for everyday use and designed for durability. 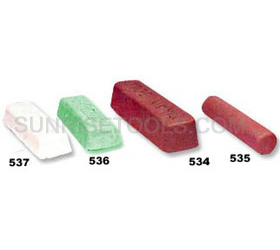 Description :-These polishing compounds are for buffing and polishing most metals including copper, nickel, brass, stainless steel, silver, gold, etc. These polishing compounds are manufactured from high quality ingredients, designed for the industrial polisher to obtain fast exceptional quality finishes. 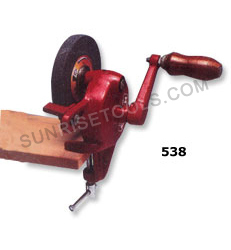 Description :-This hand operated Grinder is used for Sharpening & Grinding. Has a clamping base which attaches to any table or workbench. Includes a 4" grinding stone. 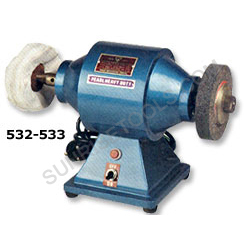 538 Grinder Hand Operated with Stone 4"
Description :-This ultimate polishing cloth made from chamois leather is perfect for polishing all types of metals and keep your jewelry and watches sparkling and looking brand new. 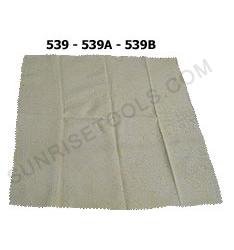 539 Polishing Chamois Leather 12" x 12"
539A Polishing Chamois Leather 9" x 9"
539B Polishing Chamois Leather 6" x 6"
Description :-This polishing cloth impregnated with silicon is excellent for polishing metals like steel, silver, gold, watch cases etc. 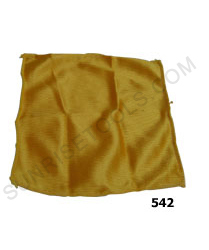 Each measures approximately 12" x 12"
540 Polishing siliconised cloth 12" x 12"
Description :-This super high quality polishing cloth safely allows you to polish and clean jewelry and gemstones without risking damaging it. A must have tool for every jeweler. Each measures approximately 12" x 12". 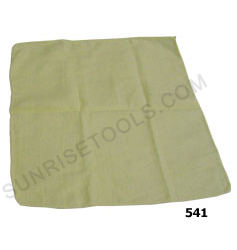 541 Polishing cloth yellow 12" x 12"
Description :-This soft polishing cloth is ideal for jewelry, Optical Lenses and other precious Stones cleaning. 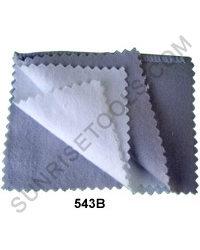 It is lint less & won't leave any fingerprints behind on precious metals or even crystal. 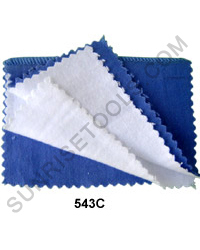 542 Polishing cloth (lint free) for optical lenses and precious sone 6" x 6"
Description :-This jewelry Polishing Cloth effectively polishes gold, silver and platinum jewelry and brings back the shine to your dull and dirty jewelry. 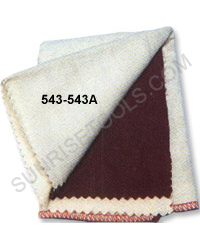 543A same as above size 12" X 14"
Description :-This treated polishing cloth helps to make your jewelry, watch, silverware or collectibles look bright and shiny. It cleans silver, gold, platinum, jewelry and watches to an instant shine while removing light scratches.